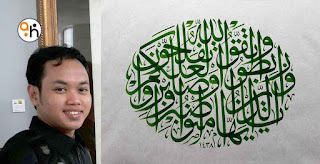 A talented young Indonesian calligrapher carved a proud achievement. 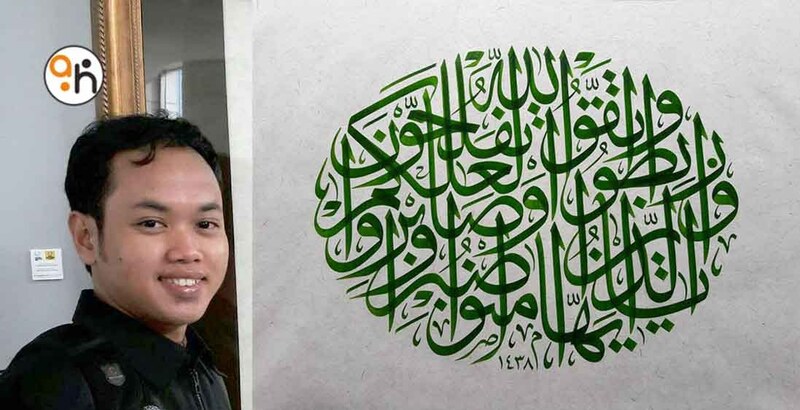 Ustadz Huda Purnawadi, calligrapher from Pati succeeded in surpassing calligraphers from other countries and won first place in the jaly sulus category of calligraphy, in the 2017 7tepe7sanat International Istanbul Classic Arts Competition event (http:// www.7tepe7sanat. com/ar/6-sonuclar/2017). This achievement shows the results of patience, hard work, patience and sincerity. In addition, his achievements did not appear instantly, but it took a long time to study and work. The event was held by the municipal government of Uskudar Turkey in collaboration with the Classic Turkfak foundation Sanati Vakfi this year was the second time after the inaugural event held in 2015. 7tepe7sanat International Istanbul Classic Arts Competition consists of several branches, including calligraphy (jaly sulus and Sulus-Naskhi), building, miniature, paper cutting, marbling, tile and binding. While the main purpose of organizing this event is to preserve the classical arts, including calligraphy. Besides Ustadz Huda Purnawadi, one Indonesian son was also in fifth place, namely Ustadz Syahriansyah Bin Sirajuddin from Kalimantan, at the same catogory. At the inaugural event in 2015, Ustadz Syahriansyah also managed to obtain the same position, also in the same category. 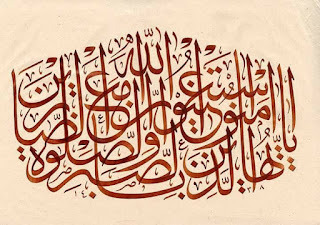 The two Indonesian calligraphers above are included in a series of names of homeland calligraphers who are productive in the world of calligraphy and are actively participating in international competitions. To name a few who have also made achievements in international calligraphy competitions such as; Ustadz Isep Misbah, Ustadz Teguh Prastio, Ustadz Muhammad Zainuddin, Ustadzah Nur Hamidiyah, Ustadz Feri Budiantoro, Ustadz Alim Gema Alamsyah, Ustadzah Novitasari Dewi, Ustadz Jimly Ashari, Ustadz Darmawan and others. 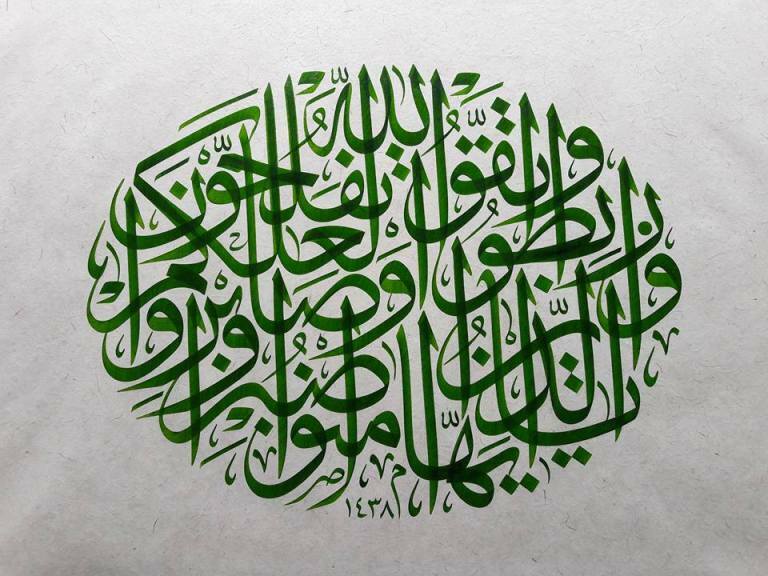 The participation of homeland calligraphers in international calligraphy competition events, certainly opens new horizons, and inevitably acknowledges new colors in the world of calligraphy in the country. Moreover, the participation of the homeland calligraphers at the event was quite good and even brought achievements that should be appreciated. Even their existence is now taken into account by other calligraphers. The experience of making mature calligraphers should be supported by similar events in the country, or learning methods that support the birth of calligraphers with a strong letter strength and good mastery of rules. Not only exploration of new colors and forms that tend to be far from the rules, even make beginners and calligraphers confused. The maturity of the waterproof calligraphers in international calligraphy competitions will also provide insight into good calligraphy competitions. Calligraphy competition that really emphasizes writing quality and respects the originality of one's work. 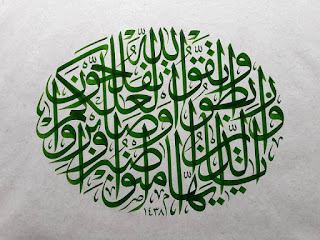 Calligraphy competition is also not only about the size of the prize or the number of bonuses. But it does not mean then ignoring the right that is commensurate with the winners, even fulfilling these rights has become a logical consequence of a good race in order to become an example and role model. 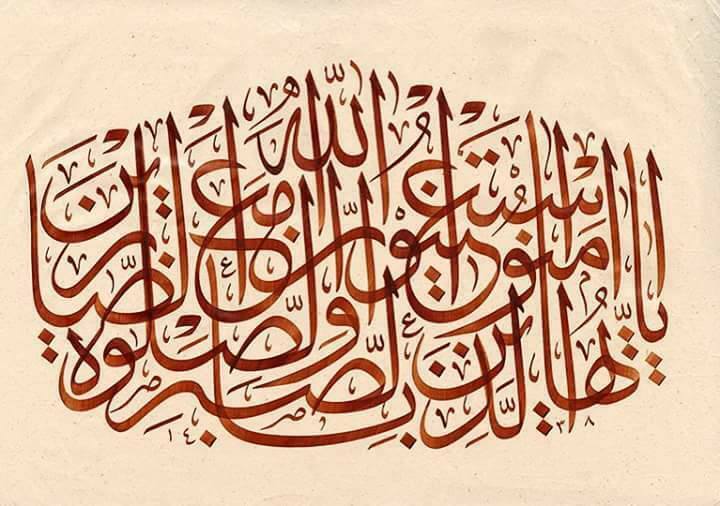 The calligraphy competition that is currently needed in Indonesia according to the author is a continuous competition and refers to the mental formation and character of a calligrapher and competent and highly dedicated race organizer. Local events at least become a warming of waterproof calligraphers to compete in bigger events. So that it does not dwell and be trapped in the race and calligraphy models that have existed so far, and even force themselves to be recognized for their existence. Because at this time, the door to global competition has been opened, and it's time to prepare the next generation, so that more can be done more than what is now there. 0 Response to "Indonesian Calligraphers First Place in 7tepe7sanat Turkey Contest"